Two Residential Courses for boys and girls aged 10.5 to 17 years every summer. Full programme of activities from morning ‘til late. Lively and stimulating classes which are based on the latest learner-centred teaching methods. Afternoon activities: football, soccer, basketball, volleyball, tennis, art, swimming, walks. 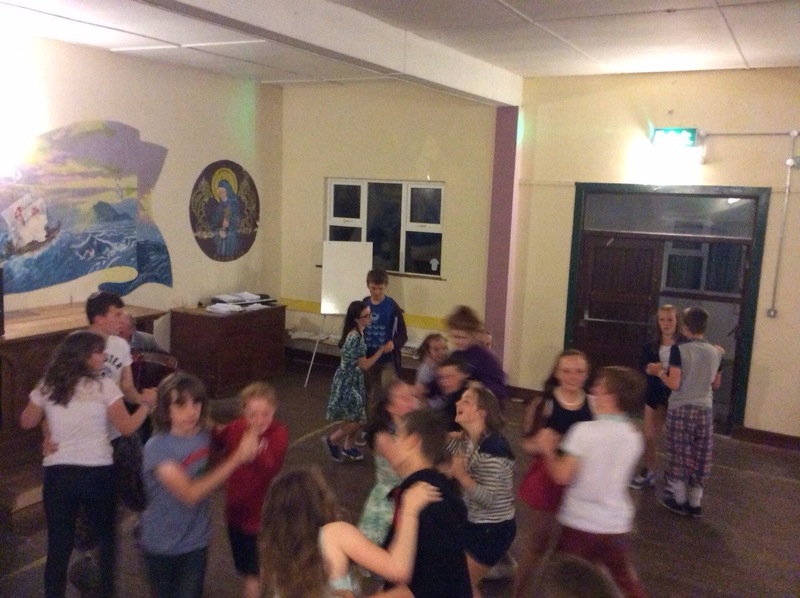 Evening activities: singing, quizzes,disco, céilí etc. Good variety of food and plenty of it. Dhá cúrsa cónaithe do bhuachaillí agus cailíní 10.5 go17 bl. gach samhradh. Clár iomlán gníomhaíochtaí ó mhaidin go hoíche. Ranganna spreagúla, páistelárnaithe atá bunaithe ar na modhanna múinte is déanaí. Imeachtaí iarnóna: peil, sacar, cispheil, eitpheil, leadóg, ealaín, snámh, tóraíocht taisce, siúlóidí. Imeachtaí tráthnóna: céilí, díoscó, claisceadal, srl. 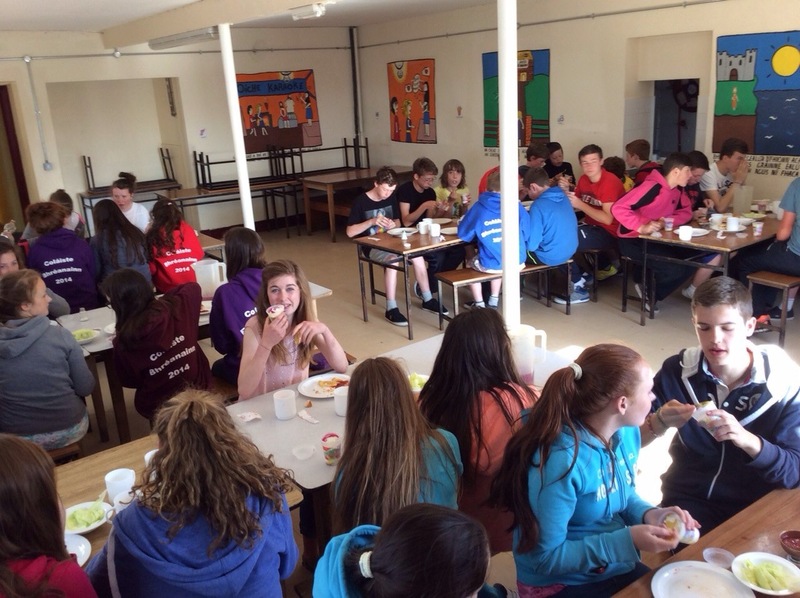 Éagsúlacht mhaith bia agus raidhse de. Our objective is, and has been since 1960, to provide a happy, carefree and thoroughly enjoyable holiday, completely through Irish in a safe and pleasant sea-side setting. 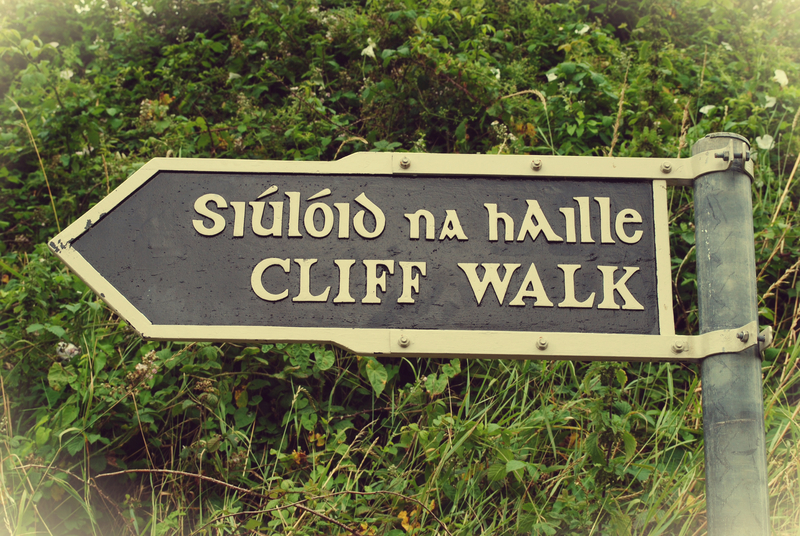 Aidhm an Chúrsa: saoire thaitneamhach trí Ghaeilge. Food is wholesome, varied and plentiful. 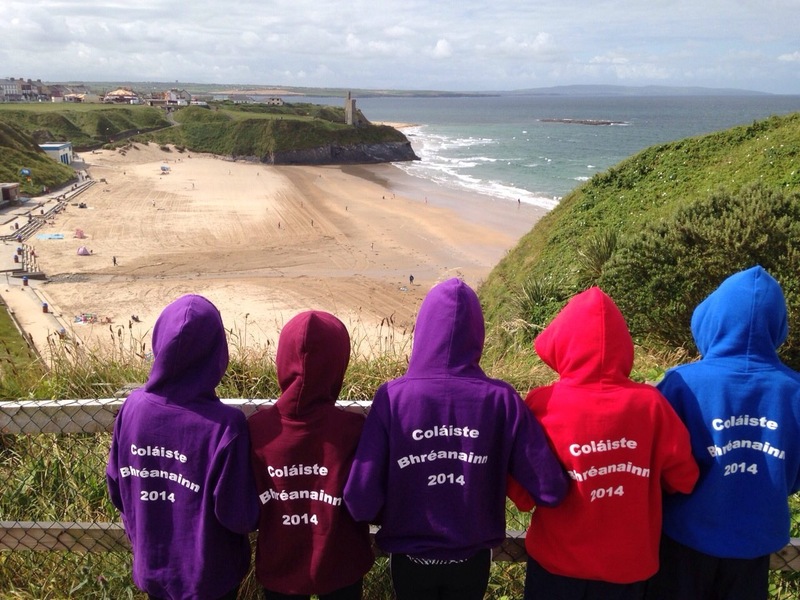 Ready to enjoy a really good and active holiday through Gaeilge. Willing to co-operate with fellow students and members of staff. Family Discount of €50 for past students or their brothers or sisters. Family Discount €40 for past students or their brothers or sisters. For methods of payment see application form. Please phone or e-mail us to request a full brochure which outlines our terms and conditions.